Two patients under the custody of a South Carolina sherriff’s department have died while being transported between mental health hospitals. 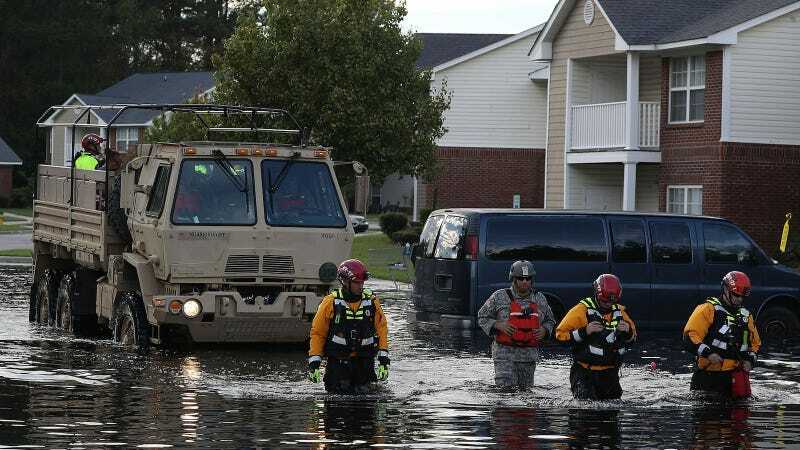 Though much of South Carolina, including parts of Highway 76, were submerged under water from Hurricane Florence, on Tuesday night, a transport van attempted to take Wendy Winston, 45, and Nicolette Green, 43, from Loris Hospital and Waccamaw Center for Mental Health to McLeod Health. ABC 15 News reports that along the way, rising floodwaters swept the van away. Two deputies in the van attempted to rescue the patients, but were unable to do because they were chained, according to a source. The deputies found refuge on top of the van and were rescued.